I assume that somebody in your company pays attention to what your competitors are doing. But sometimes this narrow focus on features and functions – our list is longer than their list – isn’t helpful. Is this solution a good fit for my business? Does this vendor know anything about my business and my market? Do they understand the problem we're trying to solve? Can I work with this vendor and trust them to help with a critical responsibility? Your most effective competitors are addressing these bigger concerns. They're not just talking about their features. They make it crystal clear who their solution is built for and what business problems it’s meant to solve. They convey a deep understanding of the prospect’s challenges, and they establish themselves as a trustworthy partner. How a competitor positions you matters, especially in the world of software-as-a-service (SaaS). For one, the label they try to stick on you will probably persist longer than any feature advantage or disadvantage. Remember that in the SaaS model, vendors can be rolling out enhancements all the time, so holding on to a particular feature advantage for any amount of time is tough. But if a competitor can label you “too small,” “too big,” “not knowledgeable,” or “a bad fit,” that has more staying power, and you’ll find it’s a tougher perception to shed. 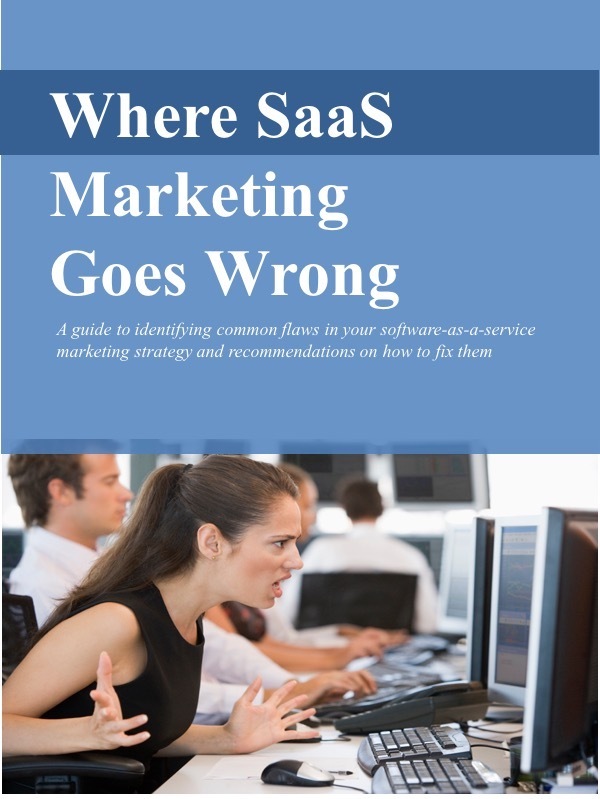 Second, customers evaluating SaaS solutions are probably paying special attention to you as a trusted vendor. After all, they’re buying into a long-term relationship. They need to trust that you'll deliver as promised over the life of the subscription. If they don’t trust you – and if a competitor is able to sow doubts – your feature set won’t really matter. I do know the adage, “Pay attention to what they do, not what they say,” and sometimes it makes sense. But when it comes to tracking your SaaS competitors, it’s doesn’t. If all you’re looking at is your feature set vs. their feature set, you’re missing a lot. Your competitors may have stuck an unfavorable label on you. Or they’ve build a more favorable perception of themselves. And you're getting bounced out of consideration before the prospect even sees your long list of features.